The P.C. crew strikes again. According to a post in the social-justice blog Everyday Feminism, the word “stupid” is not just a kind of mean thing to say, but actually an all-out “ableist slur,” regardless of whether you’re using it to describe things or people. “The history of disability in our society is rife with injustices based on intelligence. . . . Children with intellectual disabilities are at extremely high risk for abuse, including sexual assault,” Crofton writes. Look — I completely agree that society is not fair toward people with intellectual disabilities, but trying to connect someone using the word “stupid” to describe an inanimate object to the sexual assault of a child is completely bananas. It’s great to be sensitive, and it’s especially important to be sensitive toward people who are dealing with disabilities. But the truth is, no one sees the word “stupid” as being reserved to describe people of a certain group, or even as being reserved to describe people at all. Are all words in the English language positive? No, and “stupid” is certainly an example of a negative one. But to say that the word “stupid” is so harmful that it is actually contributing to the sexual assault of children and creating “mass psychological harm” is pretty clearly taking things just a bit too far. 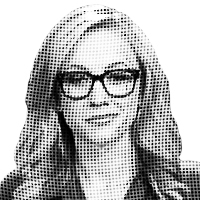 — Katherine Timpf is a National Review Online reporter.